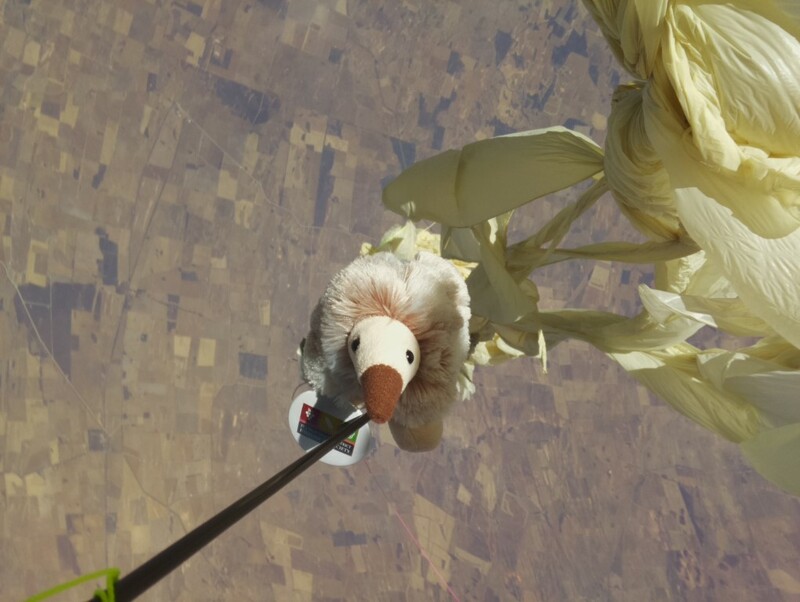 On Saturday December 3rd 2016, the Amateur Radio Experimenters Group launched the Tea Tree Gully Library mascot, Anstey the Echidna into the stratosphere as part of her next big adventure. In the past 12 months Anstey the Echidna has been to France, Italy, Ireland, Japan and New Zealand. 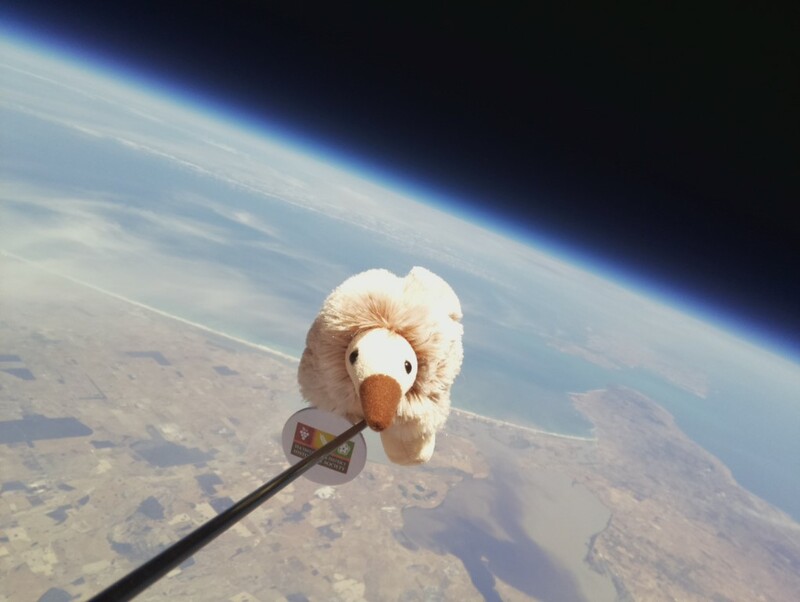 Flying an Echidna into near space is not without its challenges. It took a very large team of people from the Project Horus group within AREG, as well as a large number of amateur radio operators from across SE Australia to achieve this feat. The first stage of the journey was to build the craft that would carry Anstey into the stratosphere. Mark VK5QI and Matt VK5ZM worked some long hours preparing the vehicle to make sure that not only would Anstey get a perfect view, but that those of us on the ground could also share her experience. The cameras used included a GoPro Hero 3 and a Raspberry PiCam connected to the Wenet 115kBit/s 50mW data transmitter. This was only the second full flight of the Wenet system which has been co-developed by Mark VK5QI and David VK5DGR using an FSK modem developed by the team with help from Bill VK5DSP. (more on this shortly). On the ground, we had a large contingent of members from the Project Horus team. Matt VK5ZM lead the assembly of the balloon payload train while Mark VK5QI, Grant VK5GR, Kim VK5FJ and Gary VK5FGRY set about filling the balloon. 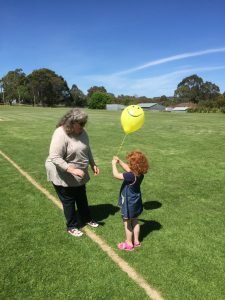 After the “Balloon meets tree” incident during Horus 38, we added an extra safety measure, with the release of a sounding balloon before the main launch.Grant VK5GR’s daughter, Amelia, did the honors. Finally, the team from the Tea Tree Gully council started their Facebook live broadcast back to mission control and we prepared to send Anstey off into the sky on her epic journey. “David then performed the introductions, giving a little bit of history of the Tea Tree Gully area and how he believes that the local population growth was tied to events within both the USA and USSR space programs. In the back ground we were watching a number of video clips from the Launch site, looking at the equipment, Matt explaining what all the equipment in his vehicle was for, Mark explaining the tracking facilities in his car and the reporter doing his bit at launch time. David then introduced Dr. Brent Gooden who was an expert in a number of fields, space suits, space medicine and Echidnas! 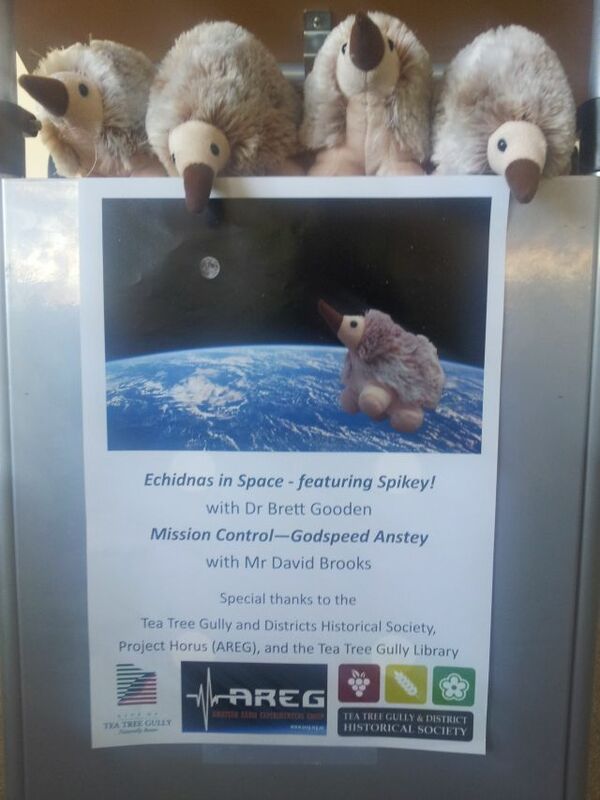 He talked about how the Echidna was very well adapted physiologically wise to be able to take the rigors of space travel, all tongue in cheek but very well presented. Mean while on the wall behind the speakers, the images of Anstey were being displayed as they downloaded. Very nicely done! Then I was invited to the rostrum to give a plug for AREG. I spent about 5 minutes talking about the history of AREG, Project Horus, that AREG was a “young” club and have a focus on radio technology and encouraging young people to look at STEM in their education which was well received. The next major component of the event was the flight ground tracking network. To retrieve the transmitted images from the balloon, we had positioned several stations around the state equipped with RTL-SDR dongles, pre-amps and the receiving software designed to collect the Wenet 115kBit/s telemetry stream. Station No.1 was Peter VK5KX and his partner Wendy, who camped on top of a hill overlooking Palmer on the eastern face of the Adelaide Hills. Peter reports “Wendy & I drove up to Palmer Saturday morning. We had to do some extra km’s due to chain of ponds road being closed, however we got there and rushed the setup completing everything in a nick of time. We were getting SSDV images before we had a lock on the balloon RTTY payload. Pointing the 5 element 70cm beam at a point in space to Rx the SSDV images was no easy task. I tried using a compass app on the phone, even a Theodolite app, but they were both giving erroneous readings, so I reverted back to a handheld magnetic compass. I did mange to get used to it and made a few notes as to where to point the beam and at what angle of elevation. Some perfect images were decoded and uploaded. After the balloon burst, we manage d to track it for some time before starting to have some issues decoding the RTTY. I could see the data clearly but the fl-digi window stayed red, only occasionally going green. To be investigated later. We went on to camp on the hill that night in preparation for Horus 40 on Sunday morning. 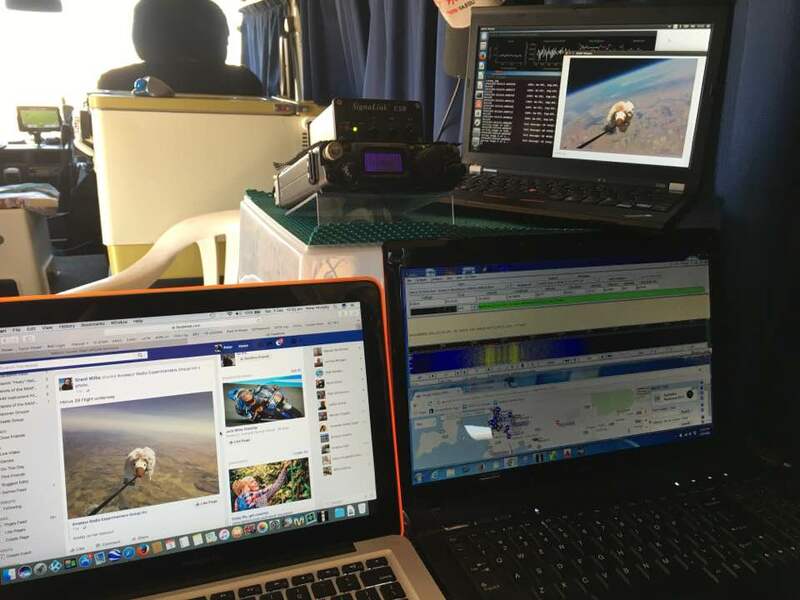 “at the last minute before the Launch, we were able to borrow an RTL-SDR and Pre-Amp in order to set up an additional station to RX the SSDV pictures from the Balloon. The RX station was set up in the Riverland, near Waikerie and was reporting Telemetry and Image data as VK5RR. Given that the site was about 100km+ away from the flight path, it was actually an unknown if it would even RX any data. 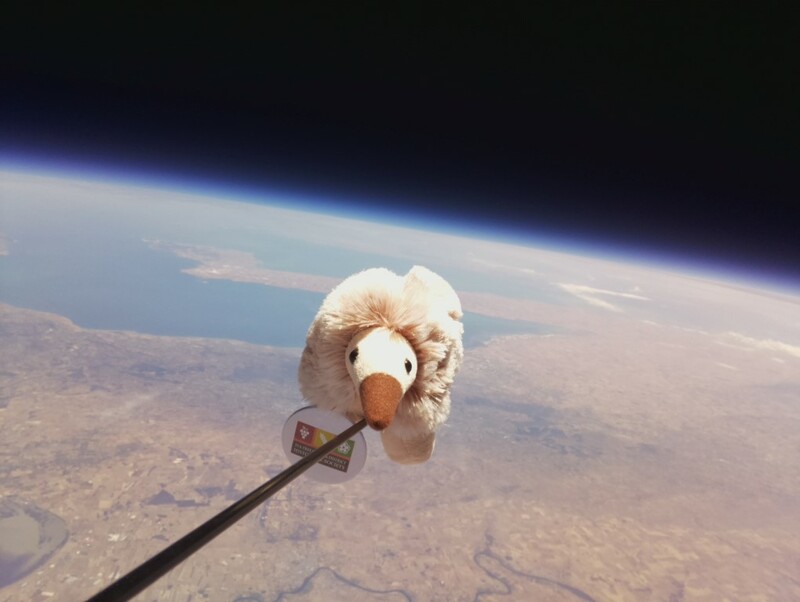 We monitored the flight data and once the Balloon hit around 6,000M we started to RX some telemetry. It was noted that once the signal got to around 6 or 7db above the noise floor it was getting consistent decodes. Now, the Antenna used was not ideal – it is a typical “white stick 2/70 Dual band antenna, around 25M of RG-213 before the Pre-Amp. Once we were getting good decodes the RX site was left unattended for the rest of the flight. We contributed to the image data on SSDV.habhub.org and noticed that at around the 27,000m mark we lost RX of the image signal. This was probably a null in the Antenna – given that this was probably around the 25 Degrees elevation from the RX location. After the Balloon burst, we again started to RX Image data, and this time it was right down to approx 2,000M (at over 140km away). 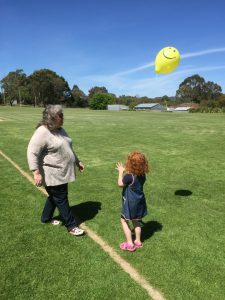 We also had Kim VK5FJ receiving the balloon from Mt Barker as well as the two mobile recovery vehicles with VK5QI and VK5ZM, all who contributed some data to the successful images relayed back to Mission Control live from the balloon. 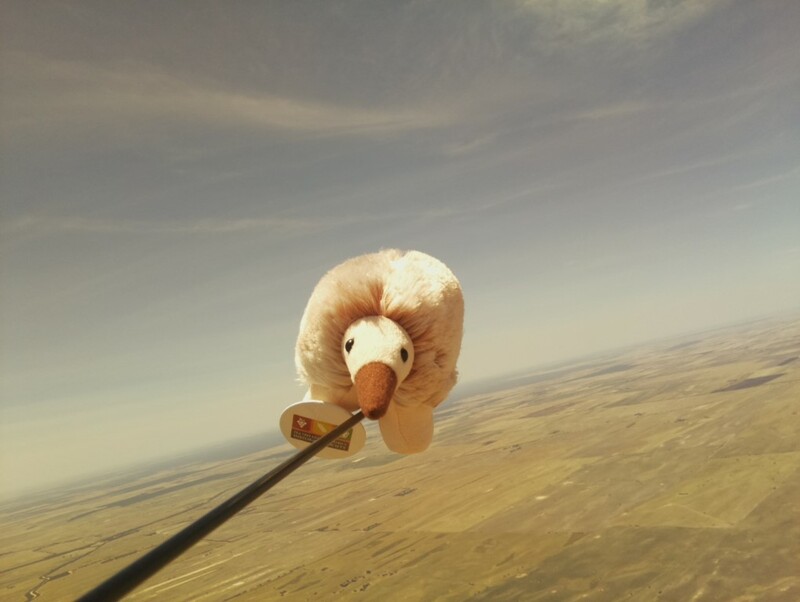 The following animation is compiled from the still images collected from the balloon SSDV telemetry system. More details about the Wenet system designed by the Horus team and the SSDV platform provided by UKHAS and Phil Heron can be found elsewhere on the AREG site. 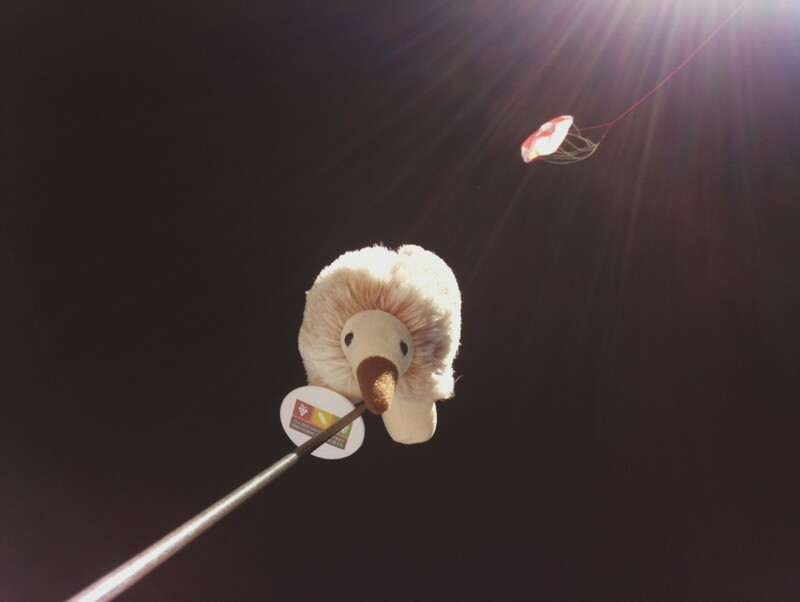 The final act was for the balloon to burst and for Anstey to return to earth to tell her tale. The mobile tracking crews, based on the available predictions, had headed for Lameroo in the Murray Mallee about 250km east of Adelaide. 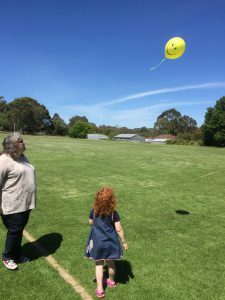 Once the balloon burst however, we discovered that it was falling faster than predicted. We determined that again the burst hadn’t been a clean one (confirmed with one of the SSDV images we collected) and along with the payloads, a large chunk of the balloon was coming back still attached! The drag of the parachute slowed the descent, but not as slow as originally planned, with the payloads eventually returning to earth at ~9m/s. This caused something of a scramble among the tracking teams as the landing suddenly looked to be about 30km short of where we expected. Fortunately, we weren’t that far away when it touched down, and a good fix from the beacons was obtained before the landing. After about 20 minutes, we had located the land owners, who were curious to see what we had landed on their property. They were very helpful and friendly farmers who lead us to the landing site in our vehicles. We should have been able to drive right to the payload, except at the critical moment, the telemetry computer crashed in the VK5ZM chase car. So, out with the yagi and direction finding gear to find Anstey the old fashioned way. After a further 15 minutes, and a hike across a 1m high crop paddock, Anstey was found safe and well. Everyone declared Horus 39 a success, and looking at the comments and feedback received via social media, it would appear it was very well received by the amateur radio community across Australia as well. We are looking forward to the next time we can fly and hope you will come on the journey too! 73 de Project Horus, Adelaide!